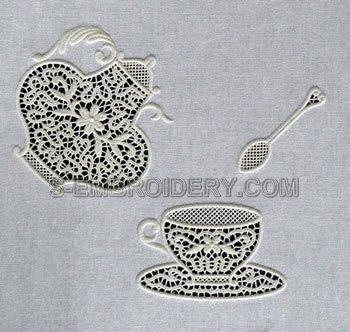 A set of 3 lace machine embroidery designs which use a combination of free standing lace and cutwork techniques. 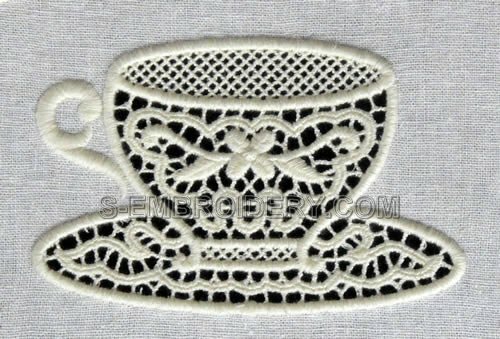 This free standing lace embroidery set will make a fine decoration for your embroidery project - table runner, table cloth, etc. 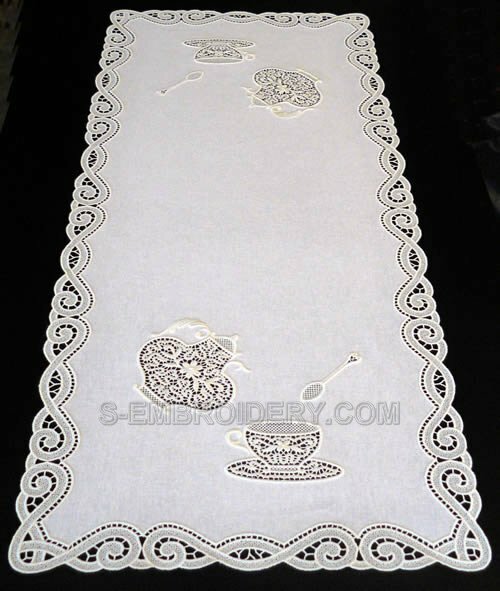 The table runner featured on this page is an example for using the set. 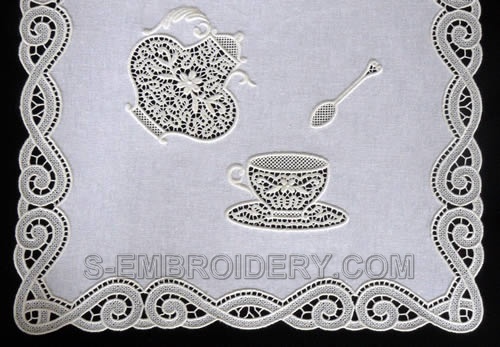 To create the runner we used the tea time set in combination with the SKU 10474 Freestanding Lace Border Embroidery Set. 1. The designs from this set are meant to be used in combination with suitable fabric, as shown on this page. 2. 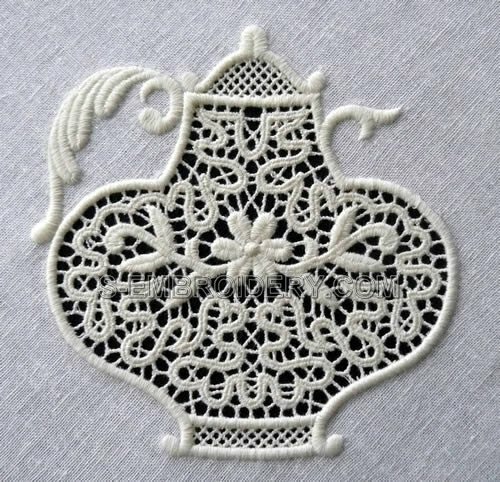 The lace border is NOT included in the package.